Students participate in poster sessions at TAM and other professional organizations. 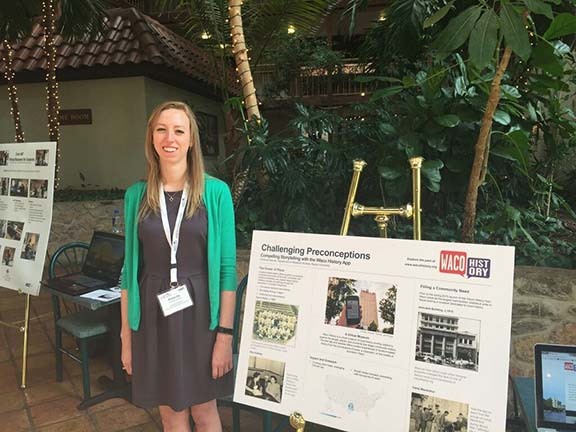 The Department of Museum Studies and the Mayborn Museum take a large number of students and staff members to the annual meeting of the Texas Association of Museum. The department faculty includes two past presidents of TAM. Each year an outstanding student is selected to give a presentation on their thesis or project at the annual meeting. In addition our students have successfully proposed their own sessions. 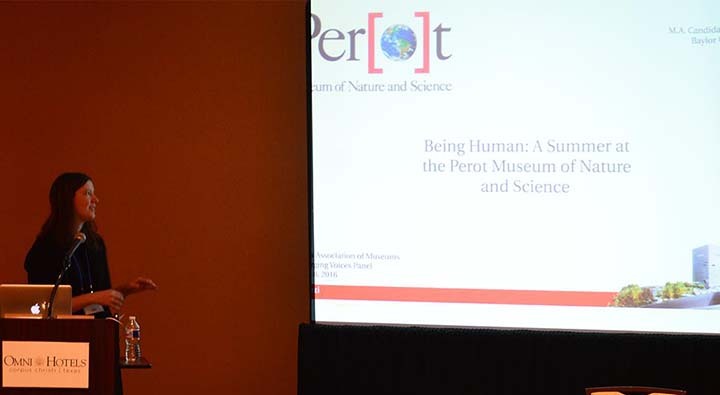 Some students have attended the annual meeting of the American Association of Museums (AAM) and also the International Council of Museums (ICOM). The department chair has served on the board of AAM's Committee on Museum Professional Training (COMPT) for twelve years and chaired the committee for four. Baylor graduates have proposed and chaired a session at AAM, and one of our students presented at the ICOM meeting in Shanghai, China.